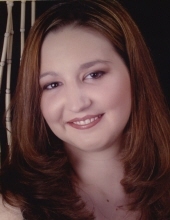 DOUGLAS, Julie E. Booze, 33, of Springfield, went home to be with her Lord and Savior on Monday, February 4, 2019. She was born on April 24, 1985, the daughter of James and Cindy (Elrod) Booze. Julie was a member of the First Church of the Nazarene and she loved nothing more than to learn and grow in the Lord. She was a woman of faith who cherished her church family and no matter the situation God placed her in, Julie always had a smile on her face. She adored her fur children, Dobby and Abraham Isaac and there was nothing more joyful than spending time with her family. She is survived by her father and mother, James and Cindy Booze; brother, James (Katrina) Booze; nieces and nephews, Janae, Adelaide, Annabelle, Grant and Joel; aunt, Teresa Crabtree; and uncle, James (Risa) Elrod. Viewing will be held on Saturday, February 9, 2019 from 11a.m.-1p.m. at First Church of the Nazarene, 901 E. Home Rd. with a celebration of her life beginning at 1p.m. Pastor Keith Sarver officiating. Burial will follow at Ferncliff Cemetery. In lieu of flowers, donations may be made in honor of Julie to the Nationwide Children's Foundation, PO Box 16810, Columbus, OH 43216-6810 to the Adolescent & Adult Congenital Heart Disease (ACHD) Program. Arrangements in care of JACKSON LYTLE & LEWIS LIFE CELEBRATION CENTER. Condolences may be expressed to her family by visiting www.jacksonlytle.com. To send flowers or a remembrance gift to the family of Julie E. Booze Douglas, please visit our Tribute Store. "Email Address" would like to share the life celebration of Julie E. Booze Douglas. Click on the "link" to go to share a favorite memory or leave a condolence message for the family.